Sometimes the best way to understand how something works is to check out a demo. This was difficult with WP Fusion, however, because WP Fusion only runs in the WordPress admin— so there’s not much to look at on a demo site. Just last week we came across WPSandbox. This is an awesome service that lets us instantly create temporary WordPress sites with full admin access, so potential customers can try out WP Fusion and various plugin integrations on their own time. You can sign up for your own demo by filling out the form on our home page. For this post, let’s look at how we’ve used WP Fusion to track and follow up with those demo signups. The demo form is created with Gravity Forms. In the admin, we’ve used WP Fusion to add an ActiveCampaign feed. Whenever anyone signs up for a demo, this adds them to our Demo Signups list in ActiveCampaign, and tags the contact with the “Demo Request” tag. 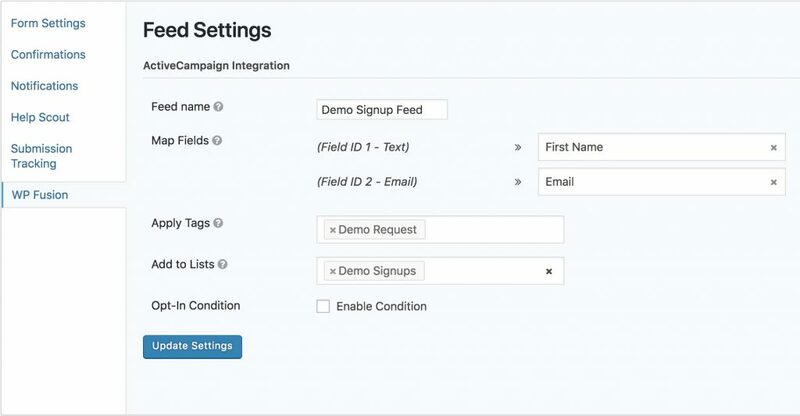 In ActiveCampaign we have an automation that is triggered by the “Demo Request” tag being applied. This automation sends an email with a link to access the live demo. The next step is where marketing automation comes into play: we wait for two days, and then if the contact does not have the tag “WP Fusion Purchase” (which is applied by Easy Digital Downloads at checkout), we send an additional followup email asking if they have any questions or need any additional help. 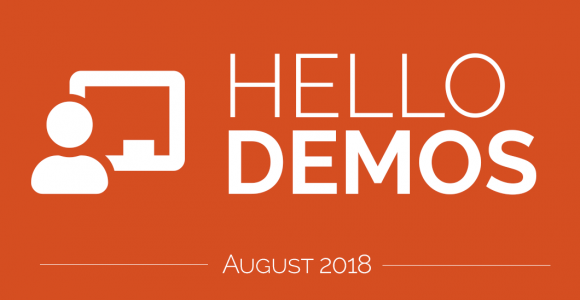 If the customer has purchased at this point, we apply the tag “Demo Conversion”, which we can later use in reports to track how well the live demos are working. 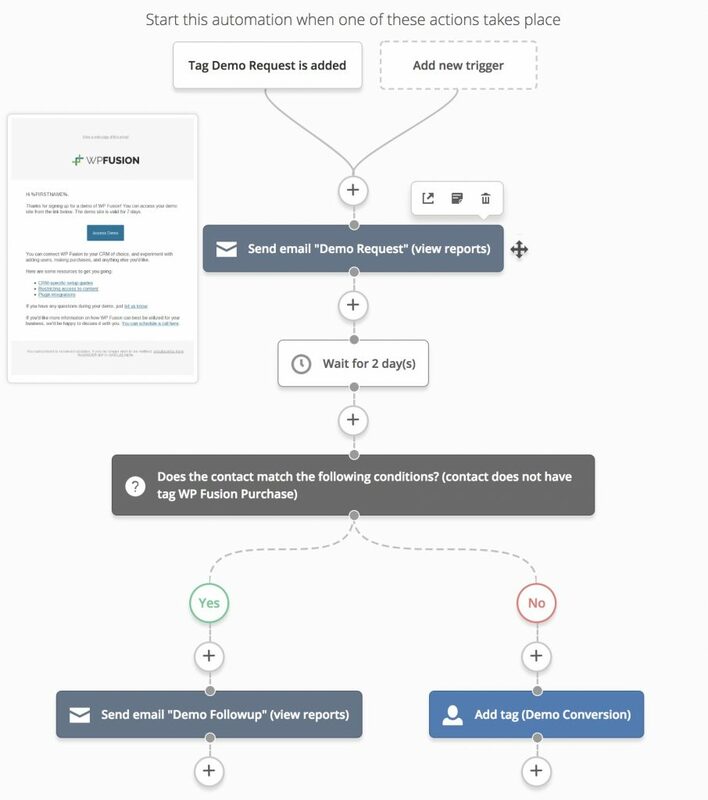 This is a very simple example of how WP Fusion can be used to automate communication with prospective customers. Because WP Fusion can tag contacts based on so many variables, this becomes especially powerful when running a membership site or LMS. For example, when you sign up for a demo course at LifterLMS, LifterLMS uses WP Fusion to track and market to leads based on how far they progress through the demo content. Being able to communicate with people in a highly personalized way goes a long way towards increasing conversions, as well as increasing engagement among your existing customers or members. If you’re looking for ideas on how to implement marketing automation strategies for your own business drop us a line, or schedule a call with one of our experts. We’d love to hear from you!